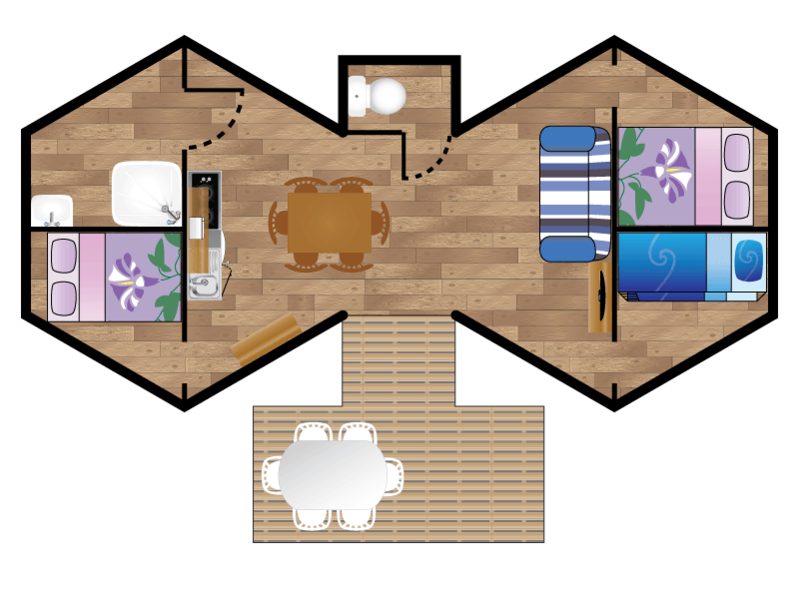 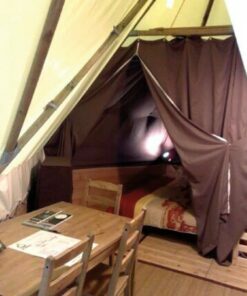 Your tribe will love this double teepee, the Behorleguy 3 bedroom lodge is exceptional. 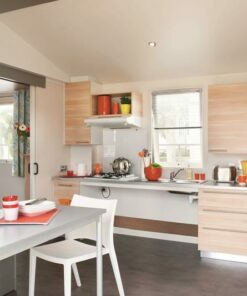 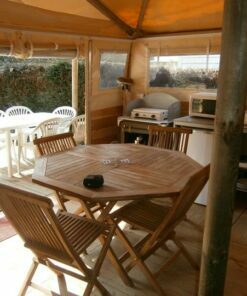 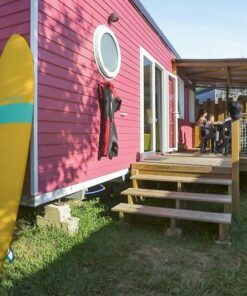 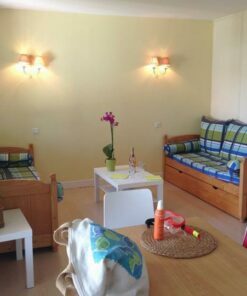 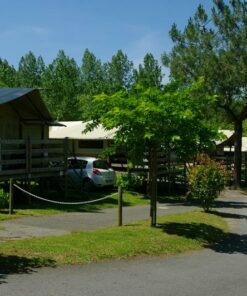 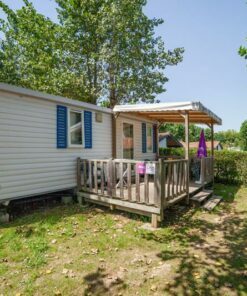 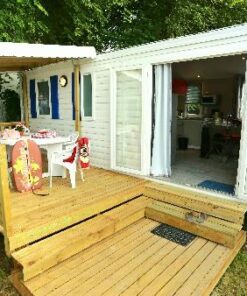 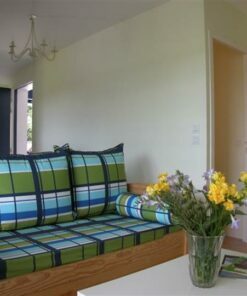 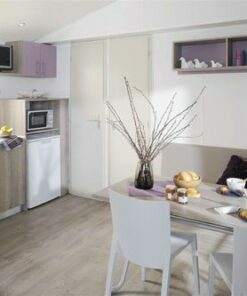 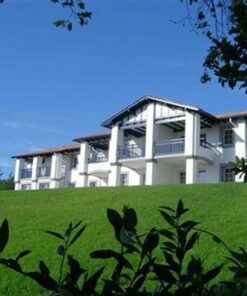 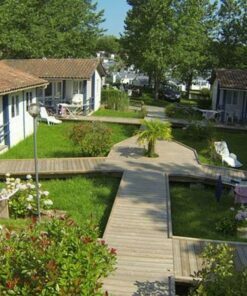 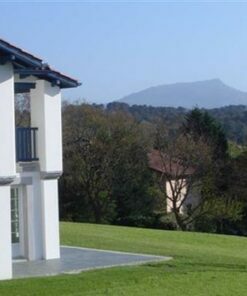 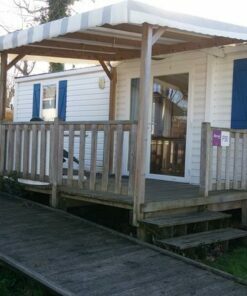 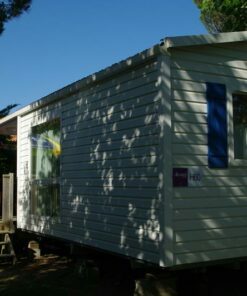 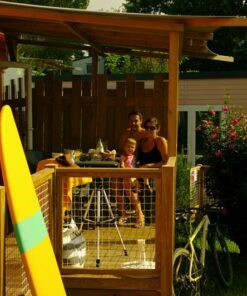 The comfortable Behorleguy Lodge can accommodate up to 6 people in Bidartet is located 5 km from Biarritz. 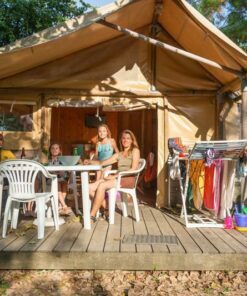 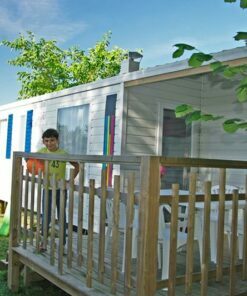 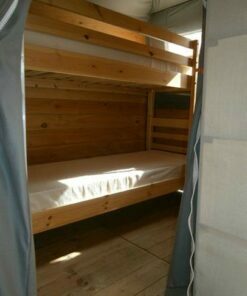 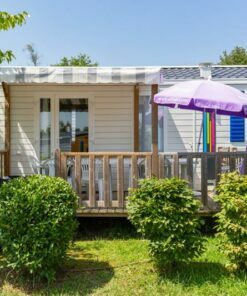 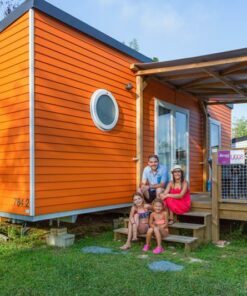 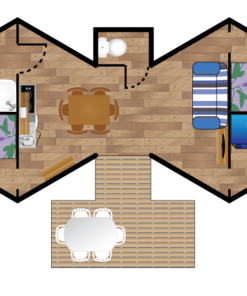 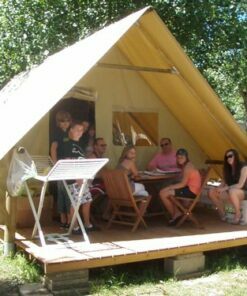 Discover this accommodation in an unusual Lodge tent with 3 bedrooms where the whole family will have its own relaxation area. 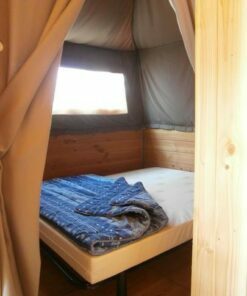 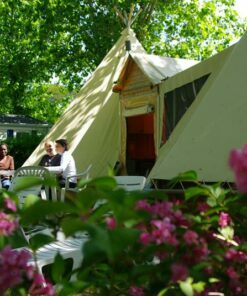 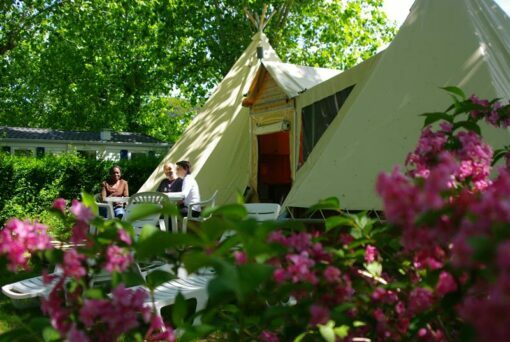 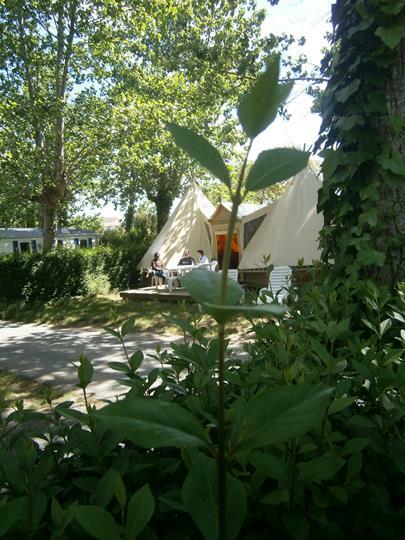 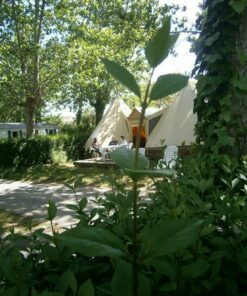 Thus, you will spend an atypical holiday in an outdoor hotel in this double tipi. 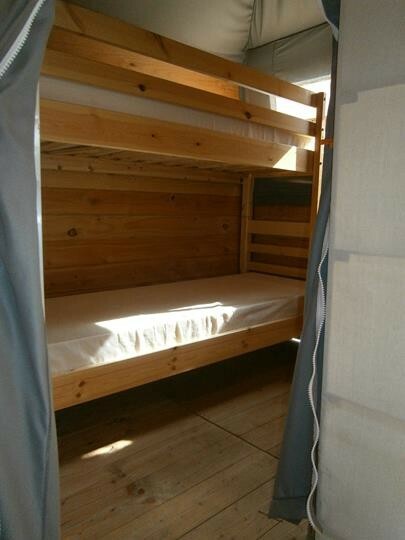 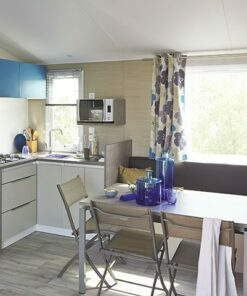 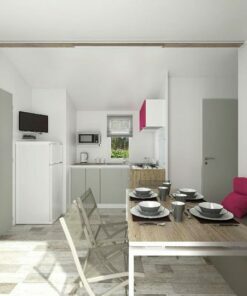 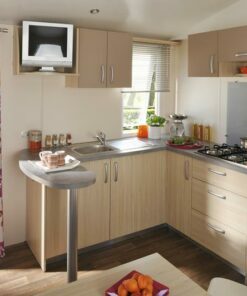 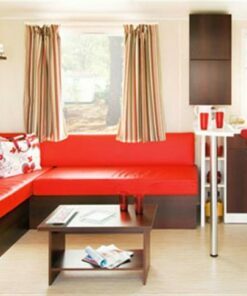 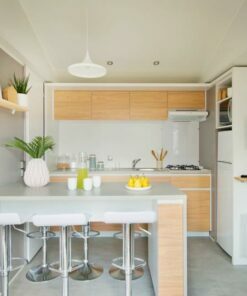 The equipment is complete with sanitary facilities and TV which is already installed for you. 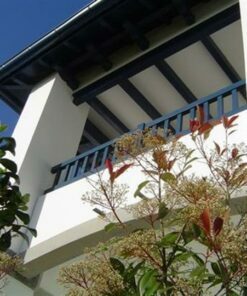 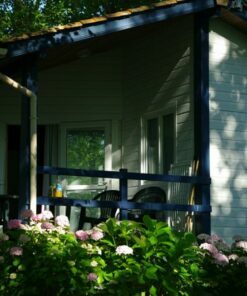 Behorleguy Lodge is equipped with a beautiful wooden terrace and garden furniture. 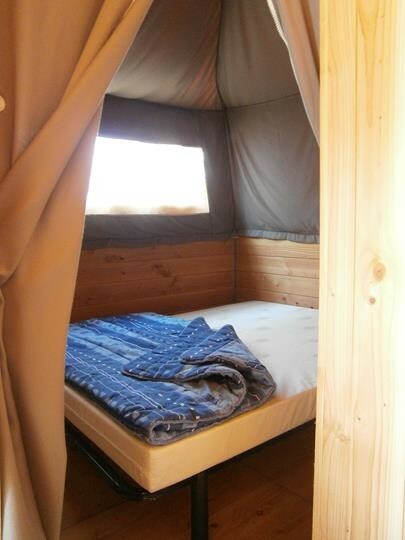 Also, the evenings will be lively and friendly.